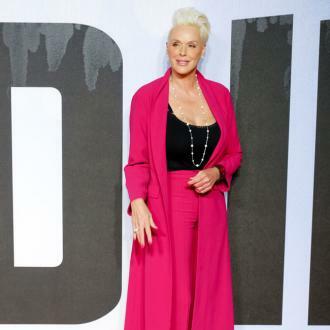 Brigitte Nielsen has ''finally found the real deal'' in her fifth husband Mattia Dessi, after dating ''some strange men'' in the past. The 55-year-old actress has previously enjoyed marriages with the likes of Sylvester Stallone, Raoul Meyer, Sebastian Copeland, and Kasper Winding, but has said her fifth husband Mattia - with whom she has five-week-old daughter Frida - is different from all the rest, as he's made her a better person. The 'Red Sonja' actress - who also has sons Julian, 34, with Kasper Winding, Killian, 28, with Mark Gastineau, and Douglas, 25, and Raoul Jr., 23, with Raoul Meyer - also credits her husband as being a ''natural'' with their daughter. Brigitte's happy family comes after she revealed earlier this week that she had been planning to have another child for 15 years, and had gone through 10 years of IVF treatment to make it happen. She said: ''It is such a long road. What I want women to know is that everything is possible, but you have to be realistic. There is a huge disappointment. If you do IVF, 80 percent of the time, it doesn't work. It's that phone call going, 'It's negative.' It's the waiting. It's a lot. It's a big, big journey.